Located in the heart of Boston's North End, 44 Prince Street is one of the newest developments completed in 2006. This full service building with concierge offers 55 condominium units with private decks and terraces, hardwood floors throughout, spacious rooms with over sized windows, and a landscaped garden. Stunning views of Boston skyline. Easy access to highway and public transportation (Green line and Orange Line). Walking distance to Faneuil Hall, TD Garden, Financial District, Boston's Waterfront and Government Center. Many great restaurants, boutiques and famous pastry shops. Not seeing any listings for 44 Prince Street? Check out some other luxury properties in the Boston Area. 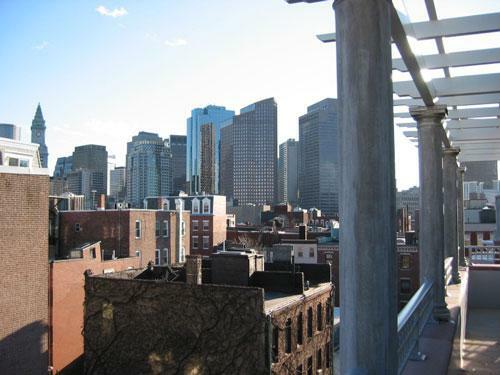 Contact us with any questions about the Boston condos on our site. To get alerts when new listings for 44 Prince Street hit the market, register with us or sign in here.